As for Alexander, the always-reliable leader is particularly inspired. 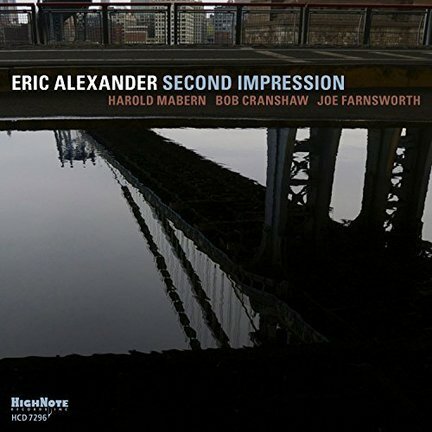 The saxophonist, now 48, is on fire out of the gate on the aforementioned title track, inspired by (but considerably more tempered than) Coltrane’s “Impressions.” With his rhythm section maintaining a barnburning pace, Alexander is free to investigate highs, lows and hidden places in between, laying back just long enough to spotlight Mabern and Farnsworth, then kicking it up again. It’s not all hectic. Farnsworth’s “Jennie’s Dance,” incorporating electric bass and piano, starts off deep into the funk, backs off slightly, then decides it likes that groove after all. The bossa-nova-informed “So Many Stars” needn’t be anything but sensual and smooth, and “Everything Happens to Me,” the Sinatra-associated ballad, is played straight, sweet and pretty.